New research suggests that clinicians should exercise caution prescribing SNRIs as first-line treatment for mood and anxiety disorders. New research, published in the journal Psychotherapy and Psychosomatics, investigates withdrawal symptoms upon discontinuing a commonly prescribed class of antidepressant drugs called Serotonin-Noradrenaline Reuptake Inhibitors (SNRIs). The results of the systematic review indicate that withdrawal symptoms may ensue after discontinuing varying types of SNRIs. The effects of withdrawal are becoming increasingly evident and therefore more heavily researched in the field of psychotropic medication, from benzodiazepines to antidepressants. SNRIs have been documented to share withdrawal symptomologies with the fellow antidepressant class of Selective Serotonin Reuptake Inhibitors (SSRI), yet the authors claim this is the first systematic review regarding the clinical aspects of discontinuing SNRIs. After filtering through the initial 3,193 potentially relevant reports of SNRI withdrawal, the authors identified 61 reports that met their preset criteria from within electronic databases PubMed, the Cochrane Library, Web of Science, and MEDLINE dating from the inception of each database through June 2017. Venlafaxine (Effexor XR), desvenlafaxine (Pristiq), duloxetine (Cymbalta), milnacipran (Savella), and levomilnacipran (Fetzima) were among the SNRIs evaluated. Venlafaxine (Effexor XR) had the highest prevalence of withdrawal symptoms in participants, ranging from 23-78% after discontinuation. 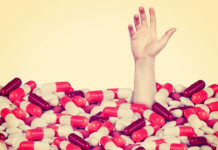 Desvenlafaxine (Pristiq) followed with 17.2-55%, then duloxetine (Cymbalta) with 6-55%, and milnacipran (Savella) with 13-30%, and finally levomilnacipran (Fetzima) with 9-10% of people reporting withdrawal symptoms. First, while tapering appears more reasonable than abrupt discontinuation, it does not guarantee that withdrawal will be avoided. Thus, more studies are warranted exploring variables such as sociodemographic, clinical, and neurobiological characteristics that may be associated with increased vulnerability to the onset of withdrawal syndromes. Fourth, to include the practice of informing patients of the nature of symptoms as we know them, although complex and not fully known due to deficient research. Limitations to this study include the lack of adequate methods of withdrawal symptom detection in most reviewed reports, “leading to an underestimation of withdrawal symptoms and to difficulties in identifying the presence of new withdrawal symptoms, rebound, and persistent post-withdrawal syndromes.” Furthermore, this systematic review was based solely on published findings, furthering its potential to have underestimated the severity of withdrawal reactions. While the pharmaceutical industry has pushed for a shift from “withdrawal” rhetoric towards the term “discontinuation,” Fava et al. insist this shift “minimizes the vulnerabilities induced by SNRI.” The term “withdrawal syndrome” re-categorizes antidepressants as drugs that can cause addiction or dependency and juxtaposes their symptoms alongside those of benzodiazepines. People have been saying venlafaxine looks as if it is an opioid for a while , it’s good to have credible research into this area, with a firm recommendation to reconsider its use. Something else about venlafaxine. 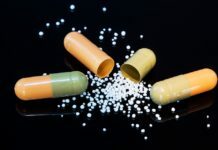 I trust I didn’t misread her study, but Carol Coupland at the university of Nottingham found in a large observational study that venlafaxine had over double the number of suicides than fluoxetine. There is a possible confounder in that it might be for more depressed patients, but she said it needed looking at. It is necessary to stay objective and unbiased in these discussions. It is incorrect/misleading to state the incident rates without comparison to placebo (In this meta analysis roughy 12%) and/or name NNH/risk differences. In particular, the incidence rates of withdrawal symptoms did not differ from placebo for Milnacipran for instance. Yes. Captain Obvious to the rescue! Maybe there will be some cutting edge scientific research to prove water is wet and it’s hard to see without light. Lol. All this “new” information about withdrawal symptoms was documented by Peter Breggin back in 1993 or so in Toxic Psychiatry. I wonder why it is suddenly acceptable news? I wish I had heard about it then Steve. 🙁 That was the year my life was destroyed. Mom read a book by Dr. Abrams. She talked about taking me to Canada for vitamin shots. Just coming off the pills would have saved me.